Technology is quickly developing, and we’re in the age of millennials, always with our smartphone at hand and looking for the quickest and most efficient ways to handle our day to day life. Nowadays we do everything online, through apps, with just one touch. As the world’s evolving, the insurance industry is not far behind! Everything’s slowly becoming digital, as no one has time for back-and-forth emails or waiting on hold on calls. If we can download an app to sort our problems, we will. So what is changing in the eyes of car insurance? If we’re talking about insurance and technology, we have to mention insurtech. Insurtech is simply the combination of the words “insurance” and “technology, referring to the technological innovations, from apps to online tools, that have the goal of saving money and time. Through various start-ups, the use of insurtech is increasing with the aim of globally collecting data, analysing it, and increasing the efficiency in the insurance services available. This means that AI could for example handle claims or act as a broker. Insurtech is all about the customers and making a personalised experience based on their needs. By developing automated tasks, employees can focus on their creativity, AI taking over the job of collecting the data, to create a more targeted offer much easier and quicker. With new technology, more and more new gadgets to increase efficiency are being used. For example, when you make a claim regarding an accident on the road, one single detail can change how the issue will get resolved. With our black box, for example, we can analyse how strong of an impact the car has received but we also encourage further assistance to make sure claims are correct and fair: dashcams. We record everything and post it on social media nowadays, so why not use the same tool to have a safer insurance experience? Dashcams are little cameras placed on your windscreen that record the view you see from the driver’s seat. They can be an undeniable proof that an incident was or wasn’t your fault, resulting in your claim being handled faster or potentially getting you back your excess payment, without cutting your NCD! Having a dashcam installed will also make you prioritise safety on the road, as you’re more likely to be more careful when driving if being recorded. Having everything online might be the best and easiest thing for the new generations but it comes with risks! Your data and information in fact, are accessible to possible cyber-attacks carried out by hackers, and you could become a victim of scams and frauds. Nowadays, there are cyber-insurance services available to protect from cybercrime specifically but it’s also something that car insurance providers need to factor in more and more. As we live in this fast-paced society, always changing and developing, not everyone wants to commit and invest in long-term insurance. Some people only need cover occasionally for a small amount of time – new emerging brands like Cuvva provide temporary, short-term car insurance. If you want to borrow your friend’s car, or decide to drive for a weekend on the coast, you can get insurance from an hour to 28 days! The best feature about these services, is that they’re all monitored through apps, so if your trip is cut short, you simply change your details through your smartphone. In a matter of minutes, you can be safe and covered. With new technology has come new, modern lifestyles posing different requirements on insurance. Our urban surroundings are growing, we travel more than ever before and put a larger emphasis on health and the environment, leading to increased use of public transport or walking/cycling. Something as simple as a commute could look dramatically different between a handful of people. New travel apps like Whim provide you tickets for any type of transport within one app so you can jump on a tram, then catch the bus, walk a block and get a taxi if you’re still late. This raises a question of how car insurance should develop to accommodate the modern needs, ‘mobility insurance’? Another example of evolution the car insurance industry is going to have to adapt to, is driverless cars. 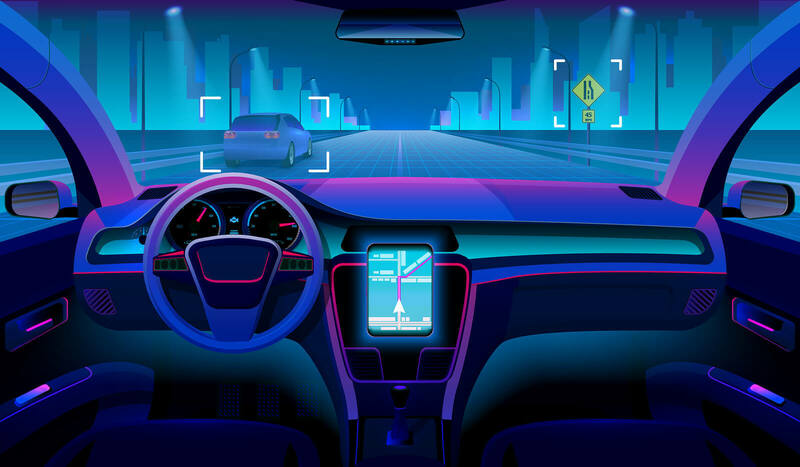 As we talked about in a previous blog post, self-driving cars could take human control out of the equation, increasing road safety and decreasing incidents caused by human error. As it’s still unclear who will hold liability in case of an accident, car insurers need to consider new types of insurance models to cover the potential dynamics. As Bob Dylan would say, the times they are a changin’, and the future of car insurance is certainly full of innovative developments, hand in hand with the changes in our lifestyles!